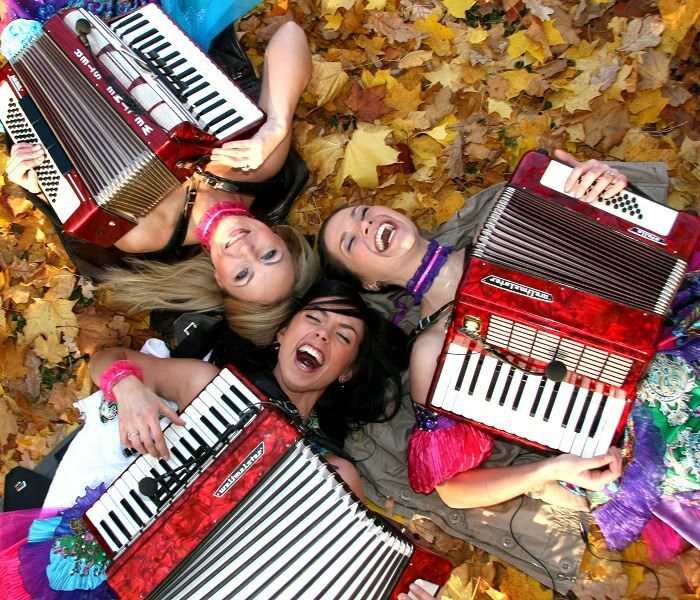 Brides Accordion- The ONLY FEMALE ACCORDION TRIO IN THE WORLD, consists of 3 unusually bright, charming girls, perfectly owning technique of game on Accordions. The group extensively tours across the world and takes part in popular TV shows and concerts. The band performs popular international music and bollywood hits. Nobody can resist the beauty of the participants of the group which make envy them even professional top models.